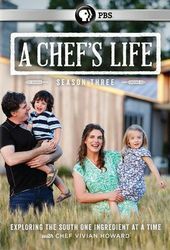 A CHEF'S LIFE is nothing like the cooking shows you see on the Food Network. Every week you will see relationships bloom around family, stories, and places, while you glimpse Chef Vivian at work crafting dishes like the Perfect Tomato Sandwich, Pimp My Grits, and Pork Belly with a Pepsi glaze. Moonshine Cocktails, wine, and beer are also on the table. Vivian is a James Beard Award semi-finalist (two years in a row! 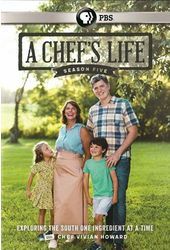 ), but through her eyes you will meet people you'd otherwise never see on television: home cooks, gardeners, hunters, fishermen, beef, chicken, and pork farmers, and wine and whiskey makers, drawn from every racial and social group. Vivian does what almost every working woman does these days—she builds a local network and a global career, nurturing her family with water from the taproot of her hometown.